​Think you should be sight-seeing but fancy a drink instead? Budapest has the answers. Beers on Wheels is a bar with seats for 18 people, ten of the seats have pedals, so you pedal while you drink. 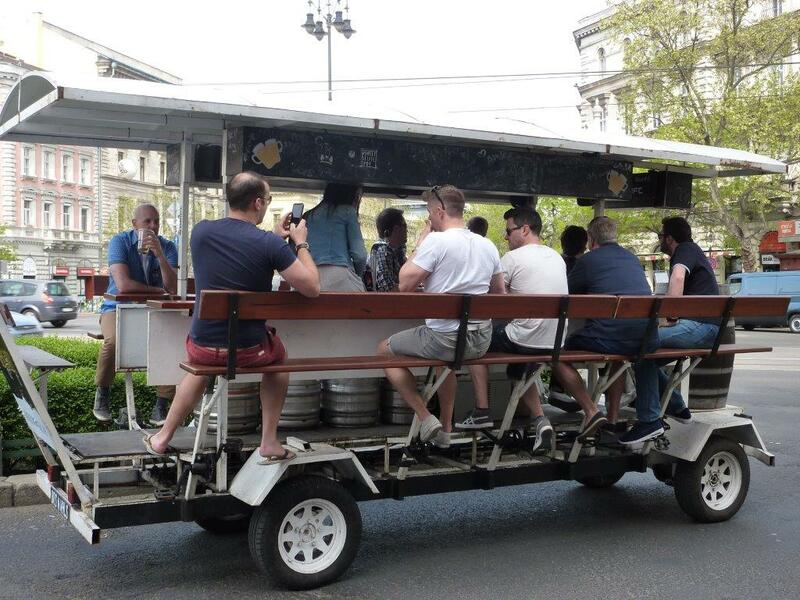 There is a driver, sober of course, who guides the bar through the city’s streets. 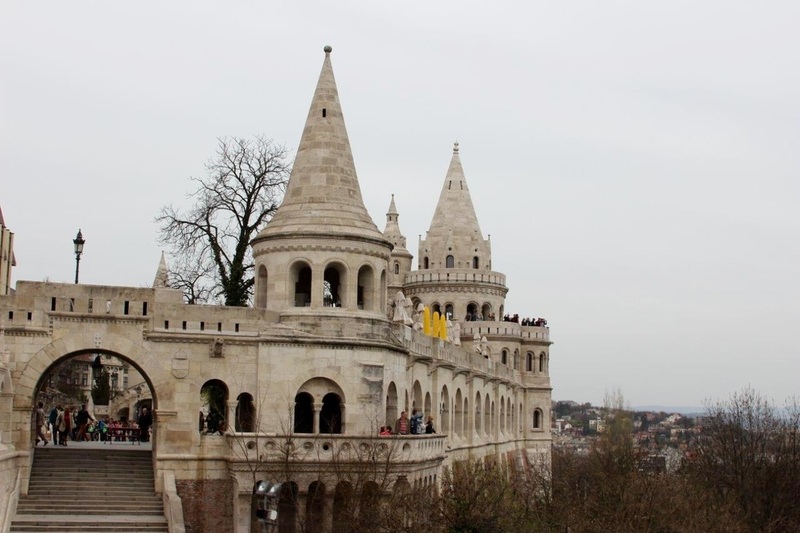 It’s a unique and very sociable way to see some of Budapest’s highlights. 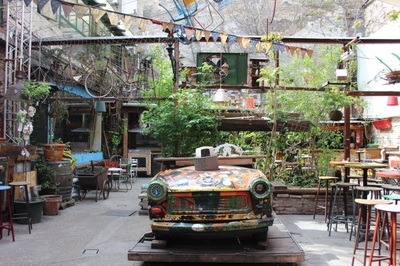 Ruin Bars are also very popular, one or more bars set up in the site of a ruined building. We visited the most famous, Szimpla, just after mid-day. Most of the visitors were tourists having a look round, but it later becomes a lively, fun and unique place to enjoy an evening drink and admire the ruins. Rumour has it, the more you drink the better they look! 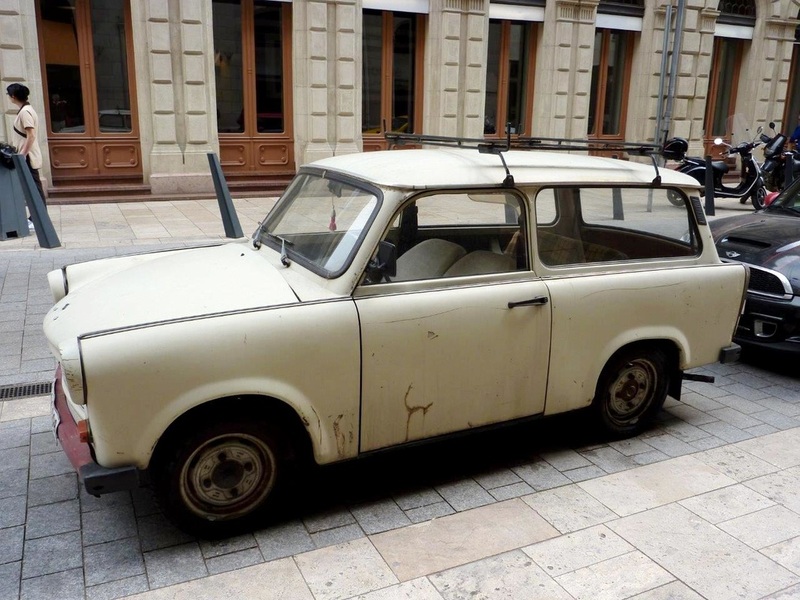 On the subject of ruins, there are many old Trabant cars left over from the Russian dominance of Hungary. You can tour the city in these old two-cylinder vehicles, although we would recommend having a driver/guide with you. 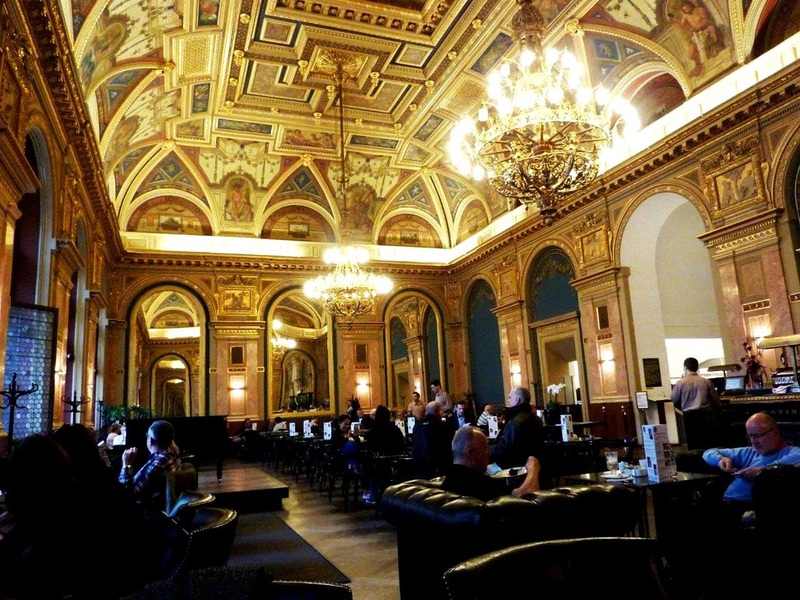 ​If you fancy coffee with your sightseeing then pop into the Alexandra bookshop in Andrassy Street, Budapest’s version of London's Bond Street. 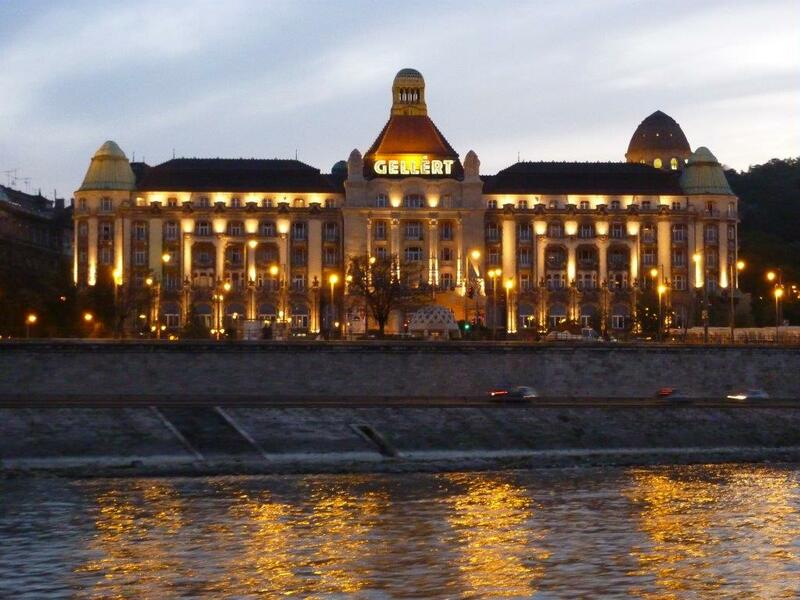 It was originally the Paris Department Store, the first in Budapest. It’s home to the famous book cafe where you can sink into an armchair, enjoy a coffee and admire the lovely chandeliers and impressive fresco painted ceiling by Károly Lotz. 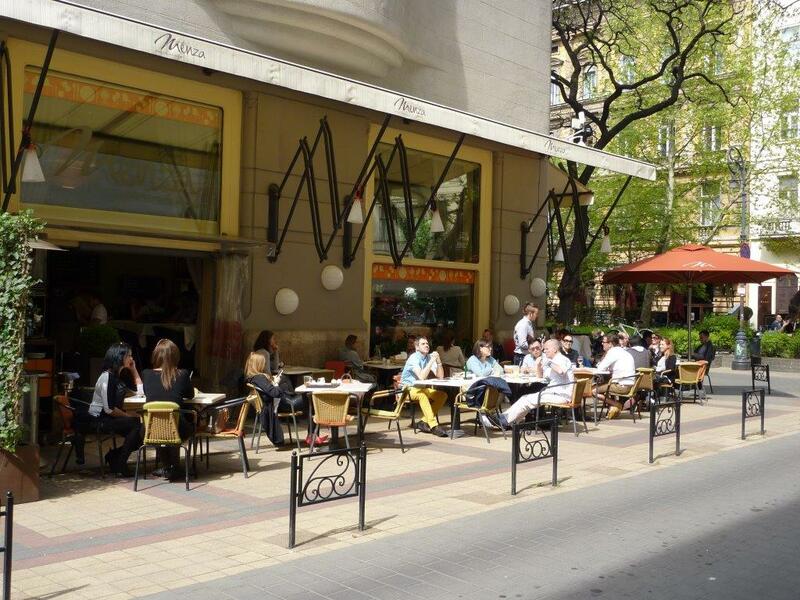 Further up Andrassy Street we popped in to Menza for lunch. It describes itself as a canteen but this really doesn’t do it justice. We found plenty of locals, always a good sign, many enjoying a bowl of goulash soup and a large pudding that looks more like a loaf of bread; great food and friendly service. 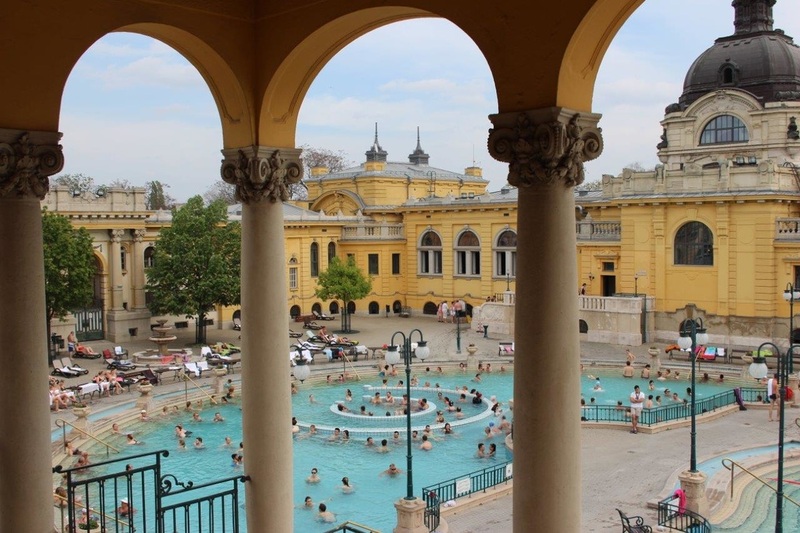 ​Budapest has the oldest underground railway in mainland Europe, so we hopped on the yellow line and got off at Széchenyi to explore one of the largest thermal bath spas in Europe. Around 70 million litres of water a day flow from over 120 springs in Budapest, the one serving Széchenyi delivers water at 76 degrees centigrade. Open to visitors, it was built in 1913 and has been expanded several times to include public bathing and even a daytime outpatient hospital. Don’t be surprised to see bathers pass the time by playing chess in its healing waters. Home for our visit was the Mercure City Centre hotel, perfectly placed for exploring the city which can mostly be done on foot. The hotel fronts Vaci Street, the main tourist pedestrian street in the city and full of bars and restaurants. Despite being the tourism hub, prices are very reasonable. We found an excellent bar serving pub grub in portions ranging from large to ‘you must be joking’ and happy hour half-litres of draft beer for around £1.50. The local wine is also excellent. 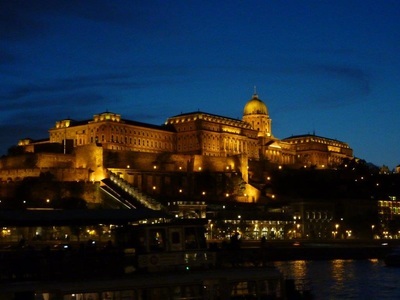 Buda is the smaller of the two parts of the city with the imposing Royal Palace dominating the skyline overlooking the river. 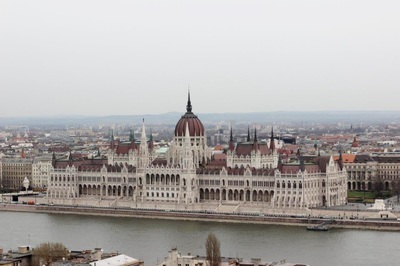 A short distance away is the Matthias church and the famous Fisherman’s Bastion, a great place from which to photograph the city, especially the Parliament building which was inspired by London's Palace of Westminster. Full of tourists during the day, after dark it becomes a sophisticated destination with enticing restaurants. 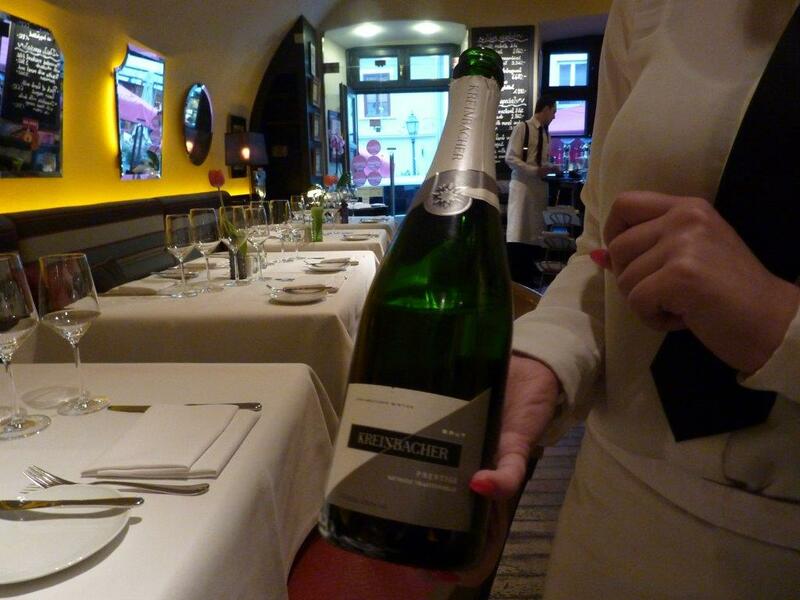 We had dinner at the intimate Pierrot located in a 13th century bakery house. The food and service were top rate, the sommelier knowledgeable and the pianist excellent – a great experience at far less than you would pay in London. ​The Danube itself is a great attraction and there are numerous boat trips on offer. 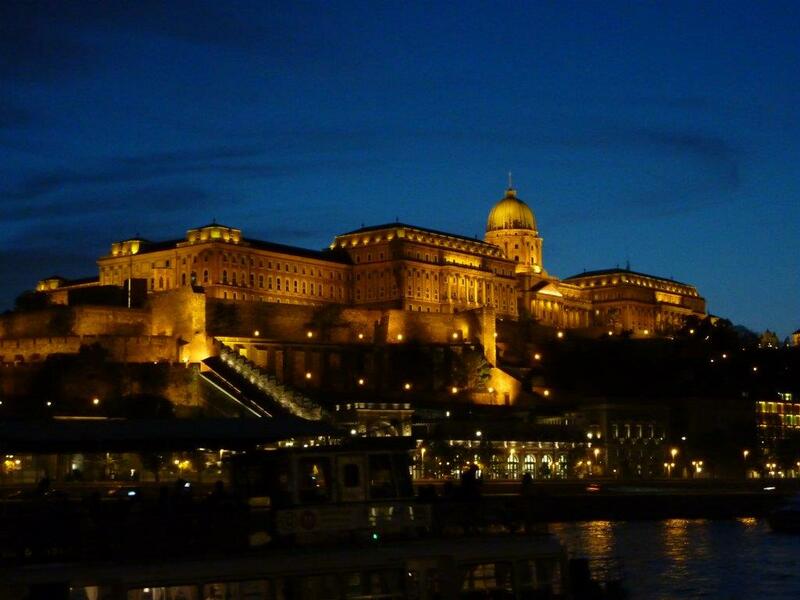 We took an evening cruise and it’s a great way to appreciate just what a lovely city Budapest is with the many magnificent buildings beautifully lit. 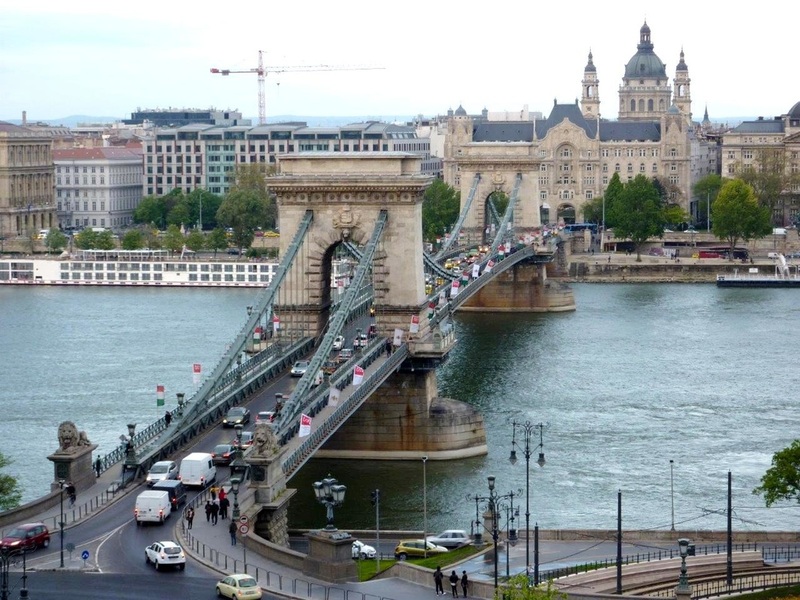 As everyone seems to speak English and signs are in both languages, Budapest is easily managed by British visitors. Whilst the local currency is the Forint, Euros and plastic are almost universally accepted so we didn’t need to change any money. From great architecture and rich culture to lots of places to have fun, Budapest has something for everyone and makes a great destination for an affordable city break with a difference. Getting there. 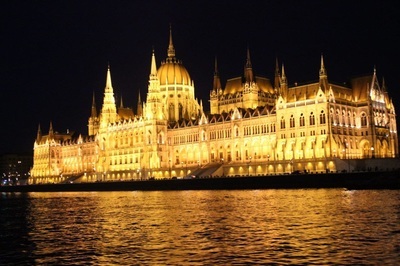 Easyjet Holidays offer a wide range of accommodation in Budapest. A three night stay on room only basis at the four star Mercure City Centre Budapest costs from £180 per person, including return flights from London Gatwick on 11 July 2016 and based on two sharing. Bed and breakfast starts from £193 per person. For more information visit www.easyjet.com/holidays or call 020 3499 5232.